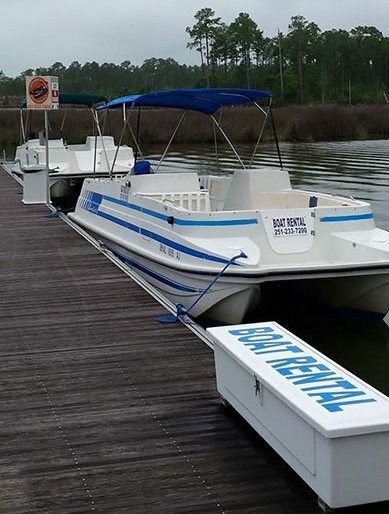 Visit Your Favorite Restaurant By Boat! 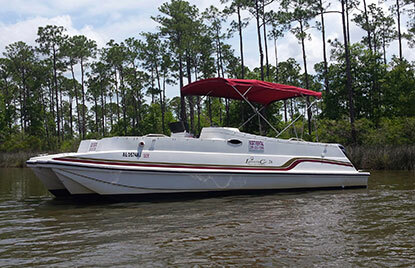 Or just cruise the beautiful waterways on the Alabama/Florida Gulf Coast, including Orange Beach, Gulf Shores, Perdido Key. Multi-Day & Overnight Rentals Available. Video orientation with local highlights and detailed water map. Basic boating experience required. 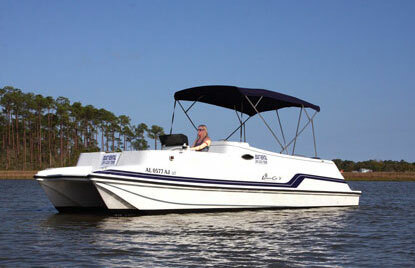 All boats have a clean restroom, plenty of comfortable seating & a great stereo equipped with XM Satellite Radios. Make this the best vacation ever!